As we humans escape into our homes that are air-conditioned or cooled with fans we wonder why our dogs might be acting sluggish or begging to get back inside. Have you ever noticed dogs who refuse to walk at an event and just plops himself down? 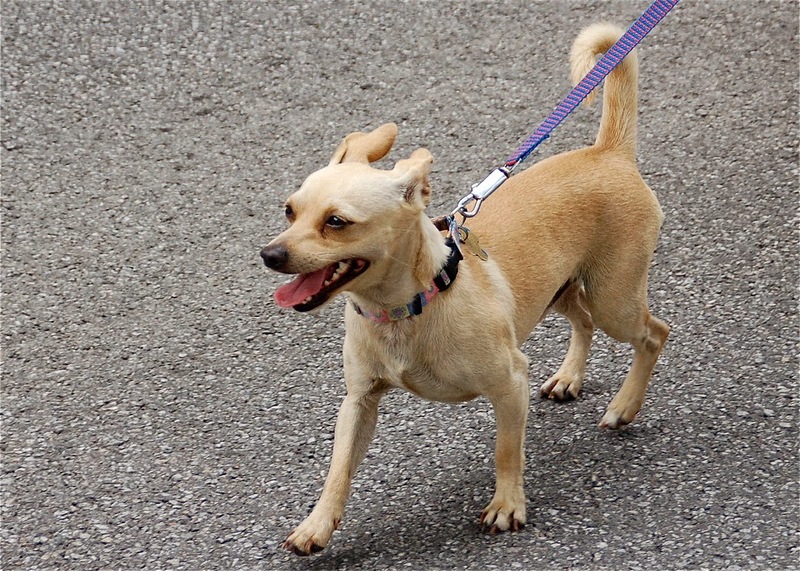 Paws scorching on the Asphalt could be the problem… not your dog being stubborn. Asphalt temperature and the outdoor temperature are two very different things. When the outside air temperature is 77 degrees the asphalt in the sun is 125 degrees. You can fry an egg at 131 degrees just imagine how your dog feels as you drag him along to the farmers market or outdoor festival being held on asphalt. Place the back of your hand against the pavement and hold it there for 11 seconds… if it’s uncomfortable for you to leave your skin there, then you shouldn’t make your dog do it. You can also try walking on it barefoot yourself. Also, think about the time of day, it takes hours for the pavement to cool off after the outdoor temperature goes down. Think about how the streets stay clear for quite a while when it first starts to snow, that asphalt has stored the heat from the day. Much better to head to your outdoor event in the morning when the pavement is cool if you really think your dog is going to enjoy it. Those cute paw pads aren’t covered with fur which would give the dog a little more insulation if they were. See our favorite ideas to protect your pooch’s paws or to help heal them after a bad day in the sun or on the trails.